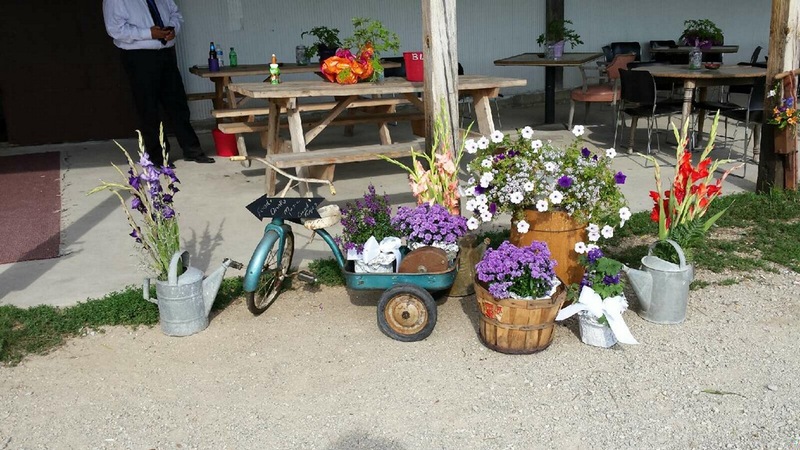 We’re a popular wedding venue for many couples throughout southern Wisconsin. Below are some questions we frequently get. Please contact us for hall rates, dates you are looking at and for beer and soda prices for an open bar as these are subject to change based on the market price. How many people can be seated in the Concord House? The Concord House consists of two large halls with wooden dance floors. 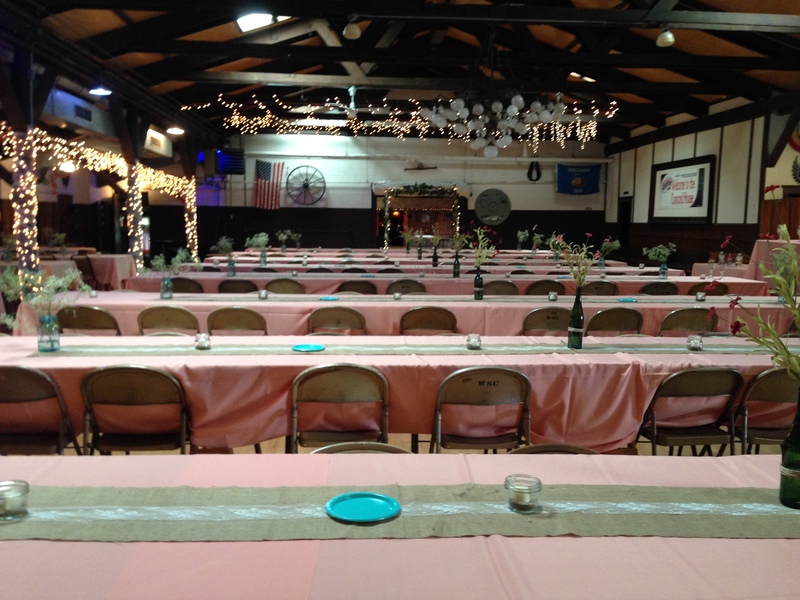 If you are having a large wedding – 200 or more – we would ask you to rent both halls. We do dinner in one and the reception/dancing in the other. We can seat up to 400 in the larger hall, West, for dinner. (More comfortable at 350.) We can expanded into the East hall if you have more than 400 for a seated dinner. The smaller hall, East, can seat 150 on the dance floor and another 120 around the sides for a total of 270. We allow outside caterers and do not have onsite catering. 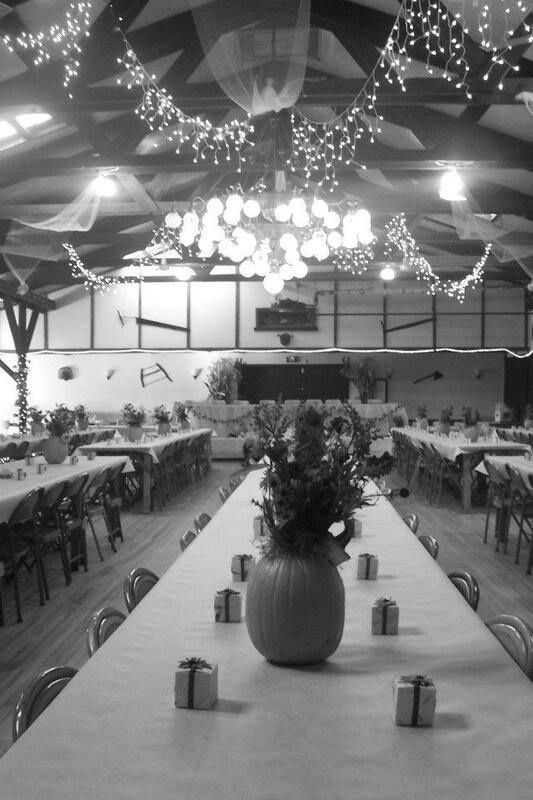 Our two recommended caterers are Pilgrim (414) 353-5111) and Glenn’s (920) 261-2226). Choosing a caterer other than Pilgrim or Glenns adds an additional $150, which also provides access to the kitchen. You are allowed to have any caterer you choose (such as a family member or friend) but all health code guidelines for refrigeration and heating must be followed. Please store or toss leftovers accordingly. What is the cost of providing beer and soda for my guests? Beer and soda prices are subject to change based on market cost. Please contact us for current costs. Beer prices are based on 1/2 barrels. There are 30 pitchers in a 1/2 barrel (this comes to five 12 oz. glasses per pitcher. So 140 12 oz beers in a half barrel). Soda prices are based on 5 gallon tanks. There is approximately 53 glasses per tank of soda. The prices for beer and soda include the cups and the cost of the bartenders. We also can provide a full cash bar that serves mixed drinks, wine, shots and more. We can order wine or champagne for you to provide to your guests as well. If you rent both halls you will have three staffed bars for your guests. You cannot bring in your own alcohol or bartenders, this would violate our liquor license. How does open bar for my guests work? Normally, wedding parties say an amount of beer and/or wine they anticipate serving based on the size of the wedding and Concord House staff will work with you or a designated party during the wedding to confirm any more refreshments served. For example, you may state that you want to serve three 1/2 barrels of beer and two 5 gallon tanks of soda. Once that amount is gone, Concord House staff will ask you or a designated person if you would like to keep serving. Or the Concord House, with your permission, will keep serving all night long and you and or a designated person can check in on the status. The final bill for beer and soda will be settled within one hour of the wedding ending. You will not be charged for any product that is not opened-for example, you may go through three half barrels of beer but anticipated four. You won’t pay for the fourth half barrel if it wasn’t tapped. We will work out these details with you before your wedding. All prices include bartenders. We will staff to the size of your wedding. When settling your bill at the end of the night please note, we are cash or check only and there is no ATM on site. No carry-ins. Do you allow set-up and decorating before the wedding date? We do allow decorating before your event. We prefer you decorate on Thursday if your event is on Saturday as this gives you the day off on Friday to prepare for the wedding and relax. Once you have booked your halls, we will work with you to set decorating hours. We ask that you take all of your things and decorations you wish to keep the night of the wedding. Everything must be removed by 1 a.m. the night of the wedding or we will assume it is garbage. Do you provide the tables? Linens? We set up the bare tables and chairs (this is included in the hall rental price), you provide the table coverings, silverware and plates. Your caterer will be able to provide options for this and may include it in their costs. The tables are 12 ft long (not round) and 3 1/2 feet wide. Chairs are set for 5 per side, 10 total but some choose to push tables together to make longer tables that consist of 10 people on each side, 20 to a table. Can guests camp overnight at the Concord House? Primitive camping may be available, please check with us. A deposit may be required to cover any clean-up costs. There are no toilet facilities once the building closes by 1 a.m. and due to health regulations, you must rent a porta potty if camping is taking place. Campfires are allowed in portable rings if there is not a fire ban in place. No running electricity from the Concord House to any campsites. Please take extra care to clean-up the area and put trash in the designated bins. We would like to keep camping as an option but we have had extra costs recently like damage to lawn mower equipment when tent stakes are left behind. Do you allow candles in the building? Candles are fine as long as they are in a holder of some sort, in case they were to fall over. There is not a cake cutting fee and we do not provide someone to cut the cake. Staff/bartenders can help pass out cake if you would like but many people assign guests to cut the cake and plate it on plates you (or your caterer or baker) provide. Can I hold my ceremony at the Concord House? Several wedding parties have held their ceremony outdoors on Concord House property or indoors in the hall where dinner tables are not set up (i.e. ceremony in East Hall if dinner tables are set up in West Hall). We can accommodate this and there is an archway and podium that can be used, please let us know if you are interested in this option. To hold your ceremony outdoors you must rent chairs for outdoors (an event company could drop them off and pick them up. For an extra fee, they will set them up for you too. We recommend General Rental in Watertown). The chairs inside the Concord House cannot be taken outdoors. If you are having your ceremony indoors, you can use the chairs from the dinner tables and move them between the ceremony and dinner. If you are holding a rehearsal dinner on Friday at the Concord House there is a $60 fee for staff and trash removal. What time do weddings end? Music should stop at midnight to give everyone time to leave. 1:00 a.m. is our target time for people to completely vacate the Concord House. We lock the doors at 1:00 a.m.
Our grass areas are for parking. Parking is free and there is plenty of room for all your guests to park. The deposit will hold your date and is the full cost of the hall or halls you are renting. Beer and soda gets paid for the night of the event. I want to book the Concord House for my wedding. Now what? Contact us and let us know what dates you’re looking at. If the date is open and you choose to book it we’ll send you a contract. The contract will hold your date and halls. It will list the costs of half barrels of beer and soda based on the market price at the time. You will sign the contract and return it to the Concord House along with your deposit then the date is confirmed as yours. Please note, we accept cash or check only. The date is all yours once we receive your contract and deposit! We will contact you about a week before your wedding for your beer and soda order. What sets the Concord House apart from other wedding venues? We do our best to make sure your event goes perfectly without adding any stress to your day. We have no hidden fees and added costs that many other venues have. Wedding parties appreciate being able to decorate however they please, the access to the building for set-up on Thursday and hiring a caterer of their choosing. Guests enjoy the free and ample parking, access to three bars and many bathroom stalls. In recent years, we’ve seen many couples looking for a rustic and vintage look for their wedding and the Concord House fits exactly what they’re looking for.